Analysis: Callahan is essentially recovered from the broken foot he suffered in Week 14 against the Rams, but the Broncos are exercising caution. The 27-year-old shouldn't have any troubles once training camp rolls around, and he's expected to be the No. 3 cornerback in 2019. Analysis: Callahan came over from Chicago, where he played for Fangio while he was the defensive coordinator there. The Rice product had been nursing a broken bone in his foot that required surgery Dec. 12. This news is somewhat concerning for his recovery, considering the minicamp won't start for three more weeks. The 27-year-old was solid last season for Chicago, racking up 45 tackles (39 solo) and two sacks in 13 games while primarily manning the slot. Analysis: Callahan will require surgery after breaking a bone in his foot during Sunday's 15-6 win over the Rams. He served as Chicago's nickelback for the first 13 games of the season, racking up career highs in tackles (45 total, 39 solo), sacks (two) and defensive snaps (675). Sherrick McManis is next in line for No. 3 corner job, potentially making the Bears a bit more vulnerable to slot receivers. Green Bay's Randall Cobb will be the first test. Callahan sustained a broken bone in his left foot during Sunday's 15-6 win against the Rams, Mike Garafolo of NFL Network reports. Analysis: Callahan sustained the injury during the second quarter of Sunday's game. 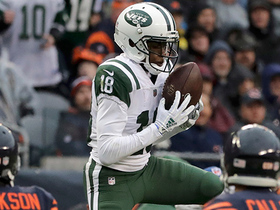 The 27-year-old has served as a reliable rotational member of the Bears' secondary all season, and will leave a difficult hole for Sherrick McManis and Kevin Toliver to fill. A timeline for Callahan's recovery remains undisclosed, but expect him to sit out Chicago's tilt against the Packers in Week 15. Analysis: Callahan exited Sunday's game in the second quarter due to his injury and was unable to return. The team hasn't specified what the exact issue is or how severe it is. For the time being consider Callahan questionable for the Week 15 matchup with the Packers. Analysis: The nature of Callahan's injury isn't clear. 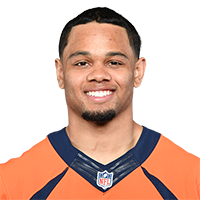 The slot cornerback was replaced by Sherrick McManis, who could take over in nickel and dime packages if Callahan is forced to miss time. Callahan suffered a foot injury in the second quarter of Sunday's game against the Rams and is doubtful to return. Analysis: The Bears will likely be without their nickel corner for the rest of Sunday's game because of the injury. Callahan's status moving forward will be updated when more details are released. 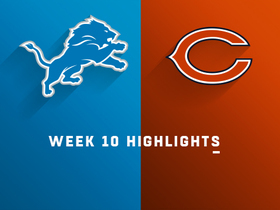 Analysis: Callahan intercepted his third pass over his last seven games while adding his first sack of the campaign in the Bears' divisional win over Detroit. He's averaging just four tackles per contest, so when he's not intercepting passes, he carries weekly IDP downside. 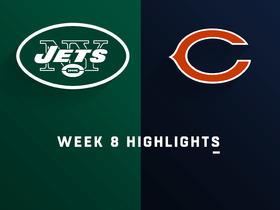 Callahan recorded one sack while adding four tackles in the Bears' 24-10 victory over the Jets. Analysis: Callahan has averaged 3.5 tackles over the last six games, so he's mostly an interception-dependent IDP option at defensive back with a low weekly floor. Callahan (ankle) is active for Sunday's matchup with the Patriots, Kevin Fishbain of The Athletic reports. Analysis: Callahan was held out of practice Friday and it's unclear if he'll be at all limited in his role as nickel corner. Look for Sherrick McManis or Kevin Toliver to see some extra snaps if Callahan sees a reduced role due to injury. Callahan (ankle) carries the questionable tag going into Sunday's matchup against the Patriots. Analysis: Callahan didn't participate in practice Friday, thus leading to the questionable tag. The Rice product was a late addition to the injury report, as he practiced Wednesday and Thursday. Against the Dolphins last week, Callahan saw a season-high snap count on defense (74). If he is forced to miss time, fellow corners Kylie Fitts and Kevin Toliver could see increased work. Callahan (knee) was a full participant in practice Saturday and is expected to play against the Seahawks on Monday, Patrick Finley of the Chicago Sun-Times reports. Analysis: Callahan was limited in practice throughout the week due to a knee injury, but appears to have recovered in time to suit up Week 2. It will be good news for Chicago if the 26-year-old is able to suit up, given that the team lacks an experienced or reliable backup at nickel cornerback. Callahan signed a $1.9 million restricted free agent tender with the Bears on Tuesday, Patrick Finley of the Chicago Sun-Times reports. Analysis: Callahan had 25 tackles, six pass breakups and two picks in 2017, and he'll work towards an increased role in the upcoming season. Depending on what happens in the draft, Callahan will likely return to his No. 3 cornerback role in 2018. The Bears tendered Callahan's contract on Tuesday, Larry Mayer of the Bears' official site reports. Analysis: The Bears now have the right to match another team's offer to Callahan in order to keep him in Chicago. Callahan has started 19 games in his three-year career, and he posted 25 tackles, six pass breakups and two picks in 2017. Starting cornerback Kyle Fuller has received a transition tag from the Bears, but his return isn't certain yet, so Callahan could in line for a full-time starting gig in 2018 if Fuller heads to another team. Callahan finished the season with two interceptions along with a sack, a forced fumble and 25 tackles in 12 games. Analysis: Callahan picked off the first two passes of his career, but he averaged two tackles per game, and he provided very little fantasy production in most of his appearances. He'll be a restricted free agent this off-season, and unless he shows continued improvement as a playmaker, he'll be a weak fantasy option. Callahan (knee) was a full participant at the Bears' practice Wednesday. Analysis: Callahan was inactive for Sunday's loss to the 49ers after being limited in practice last week, but he appears set to go for Week 14. The 26-year-old should return to his role as a nickel and dime package cornerback for the Bears. Callahan (knee) is listed as inactive Sunday against the 49ers. Analysis: Callahan has been limited all week with a knee injury, and it looks like he didn't get quite enough reps in to warrant a spot on the active roster. 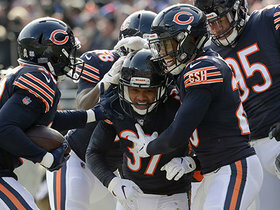 Cre'Von LeBlanc avoided the inactive list despite an illness, so he'll be the top reserve cornerback behind Prince Amukamara and Kyle Fuller. Callahan (knee) was a limited participant in Friday's practice and is questionable for Sunday's game against the 49ers. Analysis: Callahan is in danger of missing his fourth consecutive game, which could leave the cornerbacks corps particularly thin if Cre'von Leblanc (illness) can't go either. If both players are unable to play, expect Marcus Cooper and Sherrick McManis to see an increase in defensive snaps. 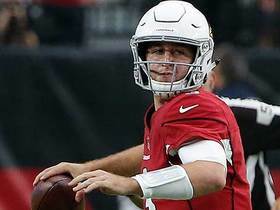 Callahan (knee) is listed as inactive for Sunday's game against the Eagles, Dan Wiederer of the Chicago Tribune reports. Analysis: Callahan will miss his third straight game since leaving the Week 8 game against the Saints. The third-year pro has been a solid rotational corner, and Cre'von Leblanc will continue to take over Callahan's duties Sunday. Callahan (knee) is inactive for Sunday's matchup with Detroit. Analysis: Callahan will be missing his second straight game due to his knee injury. The backup corner sees a decent amount of snaps despite his position on the depth chart, and his absence likely will open the door for Marcus Cooper to see an uptick in reps once again. Callahan (knee) is listed as questionable for Sunday's game against the Lions, Jeff Dickerson of ESPN.com reports. Analysis: Callahan has been playing a high snap count as the No. 3 corner for the Bears, compiling 17 tackles (12 solo) and one interception through eight games. He's in danger of missing his second consecutive contest, though. If he's unable to play, Marcus Cooper will likely see an increase in his defensive snaps. Callahan (knee) is inactive for Sunday's game against the Packers. Analysis: Despite having a bye week to recover from the knee injury he sustained Oct. 29 against the Saints, Callahan was unable to practice in any capacity this week and will be forced to miss his first game of the season. Callahan has been one of the better statistical producers in the Bears' secondary this season, collecting 17 tackles, one interception and a sack in eight games. Callahan (knee) is listed as questionable for Sunday's game against the Packers. Analysis: Callahan did not practice this week after sustaining the injury against the Saints prior to the Bears' bye week. The 26-year-old is one of six Chicago players who did not practice and is listed as questionable. Cre'von LeBlanc and Sherrick McManis (hamstring) could see increased workloads if Callahan cannot play. 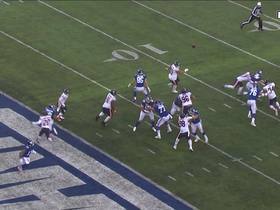 New York Giants wide receiver Odell Beckham Jr. slips past the defense and catches a 1-yard touchdown. 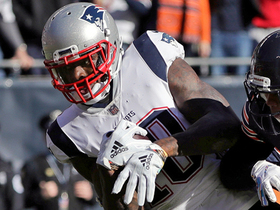 New England Patriots wide receiver Josh Gordon refuses to go down and nearly gets into the end zone on a 55-yard reception. 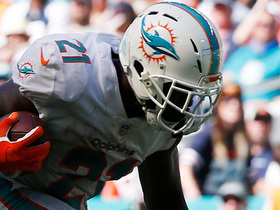 Miami Dolphins running back Frank Gore bursts through the defense for a big 32-yard gain. 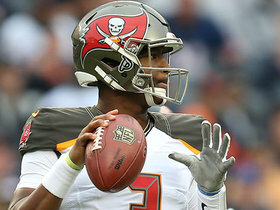 Tampa Bay Buccaneers quarterback Jameis Winston completes a 6-yard pass to wide receiver Adam Humphries on his first pass of the 2018 season. 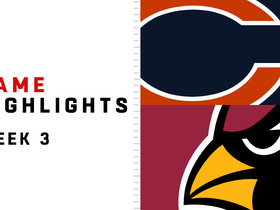 Watch the best plays from the Week 3 matchup between the Chicago Bears and Arizona Cardinals.